Ideas, especially creative ones, can be wild beasts, difficult to wrangle and control. They are born in our thoughts and intentions but ultimately take on lives of their own. Like life itself, this process can be messy, complicated, and fraught, no matter how hard we try to fit it into our neat categorical frameworks. 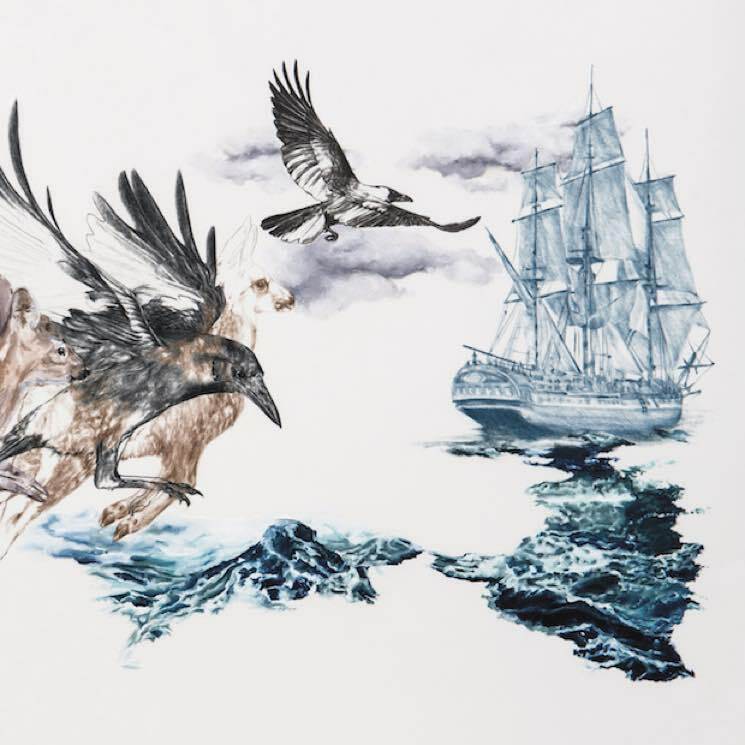 Do Make Say Think make music that captures these phenomena in a sonic vernacular that, on their latest LP, is aimed at interrogating the Stubborn Persistent Illusions we find ourselves embroiled in every day. The nine instrumentals that make up the band's first album in almost as many years are all written in major keys. They have a warmth and earnestness that permeates their complex emotional movements. Their soundscapes seamlessly blend the organic and rustic infrastructures of urban life. Despite the lack of lyrics, vivid imagery abounds: "Her Eyes on the Horizon" conveys a hazy, shimmering sense of distance, as though she's gazing out over lake Ontario, her surroundings shaded in with leaping horn melodies and carefully intertwined guitar arpeggios. "A Murder of Thoughts" circles around a rumbling floor tom rhythm, gliding patiently like a murder of crows. When the "War on Torpor" is declared in the opening track, the band try to lead by example, building up a harmonious roar overtop a restless and exuberant scurry of drums.